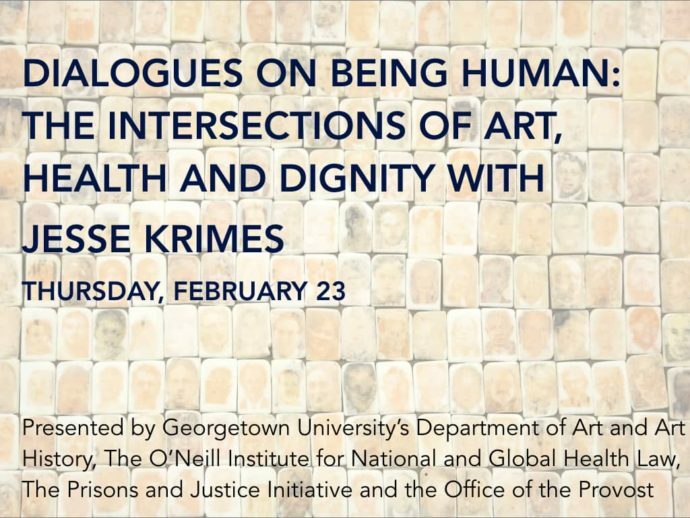 Formerly incarcerated artist Jesse Krimes visits Georgetown University for a dialogue and exhibition of his work, “Purgatory”. Curated by Anita Alvin Nilert as a part of exploring creative approaches to making health and human rights issues more visible and comprehensible, Jesse presented his work and spoke on themes including the dehumanizing aspects of incarceration and the Criminal Justice System. He was joined by host Alicia Ely Yamin, Director of the Health and Human Rights Initiative of the O’Neill Institute for National and Global Health Law at the Georgetown Law Center and Marc Howard, Director of the Prisons and Justice Initiative for a dialogue discussion. 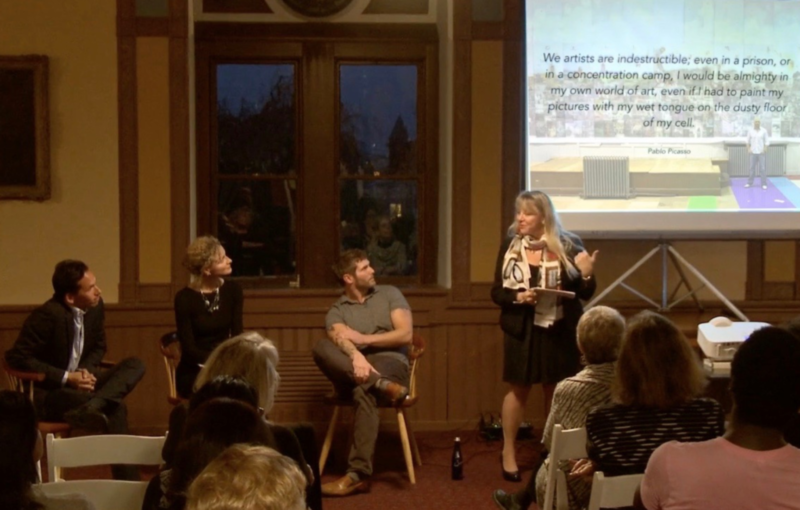 watch excerpts of Jesse speaking about the work here and the dialogue discussion here. See Georgetown Law School’s Facebook live walk through of the exhibition at Georgetown University’s Spagnuolo Gallery with Jesse and Alicia. Read more or see the invitation.